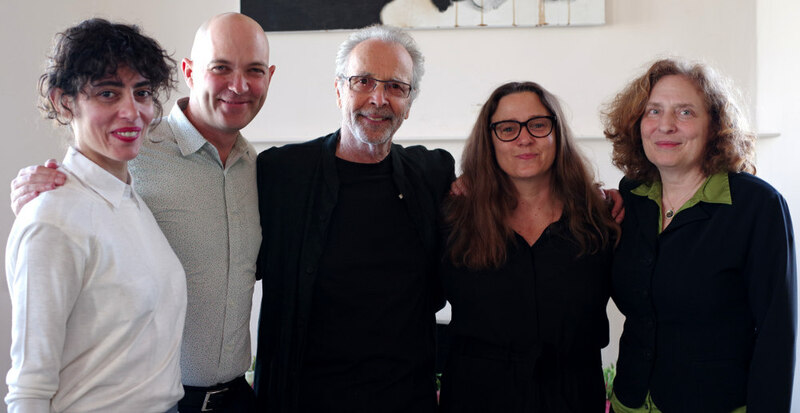 Herb Alpert, center, with the 2015 Herb Alpert Award in the Arts winners, from left, Maria Hassabi, Taylor Mac, Herb Alpert, Sharon Lockhart and Julia Wolfe. Absent because detained in Cuba: Tania Brugeura. I’m crazy about the mystery of art. What is that thing about a song that makes you wonder who is the artist behind it? Art is not about what makes you listen with your ears and see with your eyes. It’s about what resonates with your soul. You can’t figure out a Jackson Pollack. If you try to analyze how he did it, you cannot. Our artists are not cookie-cutter or beat-of-the-weeks. There are musicians who play all the right thing. Then, there are others who look for the right thing – Miles, Coltrane, Charlie Parker. I am not a people person; parties are not particularly my thing. But with artists and people who appreciate the arts, there’s a different vibe. Maria Hassabi (dance) for changing the nature of spectatorship, for challenging conventional ideas about performance, for stripping away busyness and the ornamentation of dancing to allow for rare contemplative experience. Sharon Lockhart (film/video) for her films which combine structural rigor, formal exactitude, exquisite beauty, intimate attention, commitment to a cinema of duration, and a sympathetic ethnographic eye in a post–minimalist aesthetic entirely her own. Julia Wolfe (music) for her fresh, uncompromising artistry, her vibrant, direct, and emotionally powerful works generous and bold in spirit and her engagement with socially conscious issues, a tradition that is passionately and unapologetically American to the core. Taylor Mac (theater) for his fierce, disarming, beautiful, transgressive, emotionally vulnerable work; for social critique disguised as glitter, ambitious scope, and for effervescently rearranging audiences perceptions while creating a great time. Tania Bruguera (visual arts) for the complexity, longevity, and urgency of her work, for her strong formal clarity and ongoing contribution to international conversations on freedom of speech and illegal immigration. The panel honors her for her commitment to resisting market pressures in order to seek an ethics of what art can do, and recognize the innovative ways she has reinvented the language of activism within contemporary culture.